Luke Landers specializes in serious injury, wrongful death and insurance coverage matters on behalf of individuals and families throughout California. Among the cases he is currently litigating, Luke is working on behalf of victims of the tragic 2015 Oxnard Metrolink train collision. Other cases that Luke is helping bring to a successful resolution involve traumatic brain injuries, automobile and train collisions, bad faith insurance benefit denials, and animal bites. Luke attended Brown University in Providence, Rhode Island, where he received a B.A. in Commerce, Organizations, and Entrepreneurship. Luke played college football at Brown and was a member of the 2008 Ivy League Championship Team. Luke was a starting offensive lineman for Brown and received several honors, including being named to the COSIDA Academic All-District Football Team. Luke received his Juris Doctor from Pepperdine University School of Law and served on the editorial board of the Pepperdine Journal of Business, Entrepreneurship and the Law. 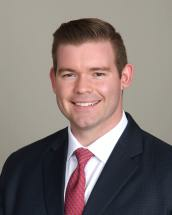 Prior to attending law school, Luke worked in Dallas, Texas as an analyst at an investment bank.